If you work in a construction work zone in or around Cincinnati, OH, you know how dangerous your job is. When you put on your hard hat each day, you put your life on the line to improve our communities’ infrastructure. Work zones are dangerous for all workers involved, but this is by no means a new problem. Many attempts have been made to protect workers specifically in transportation construction work zones throughout the years. Maybe you have seen the signs reading “Slow Down: My Mommy/Daddy Works Here” in a child’s handwriting. These were meant to remind motorists that the men and women working on the side of the road are not just men and women but mothers and fathers with families who are depending on them. The signs are meant to encourage motorists to slow down to a safer speed and thus save lives. Do they work? Perhaps they achieve their goal for some but not for all. In the summer of 2015, the Ohio Department of Transportation (ODOT) again made an attempt to protect workers. They implemented a social media campaign to raise awareness about the dangers construction workers face on the roads. The state of Ohio has a “Move Over” law that requires motorists to move over and slow down for vehicles with flashing lights, which includes highway work crews, that are on the side of the road. The Liberty Center located in Liberty Township, Ohio, is one of the bigger construction projects the greater Cincinnati area has seen in recent years, costing nearly $350 million for its development. The entire site spans over 100 acres and is situated between Cincinnati and Dayton at the interchange of I-75 and Ohio 129 (or Liberty Way). It is a mini-city that is expected to be a major regional attraction. Your place of work should not be a place of fear. Unfortunately, when injuries happen frequently at your office or worksite, it can be scary to earn your living. At The Harris Firm, we work to support injured workers so that you can get back to your job and normal life after experiencing a work place injury. Occupational injuries are very common, and can prove to be devastating to an injured worker and his or her family. Jobs that are high-risk, or lack safety devices have work places injuries. Moreover, these same jobs often fail to provide adequate training and hire too few laborers for the amount of work being done. While workplace injuries can happen in any employment area, there are a few jobs that tend to have higher injury statistics than others. These high statistics are due to the nature of the job, usually they arise from positions in which employees often perform physical work or work with dangerous equipment. Some of the most high-risk positions include factory workers, nurses, and construction workers. 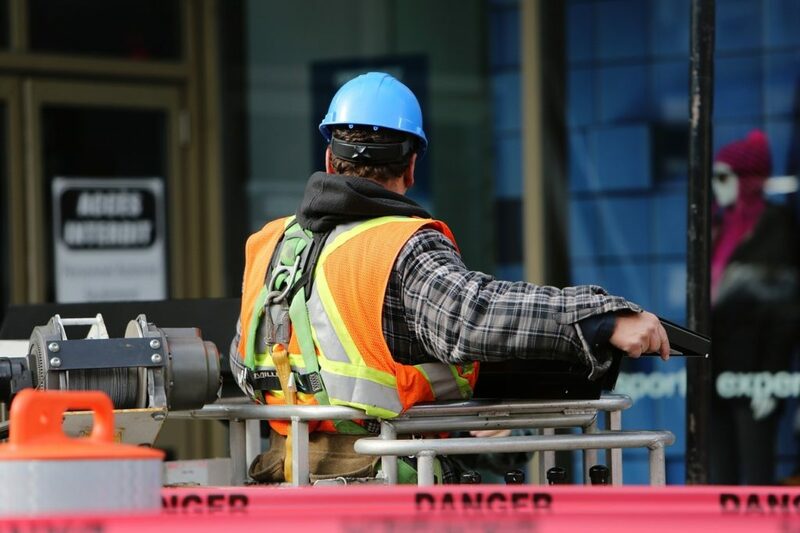 In fact, construction site injuries are the most common form of workers’ compensation claims. According to a study done by the Ohio Safety and Health Administration, of the 4,585 workplace fatalities in 2013, 20.2% were due to construction related accidents. In other words, of every five deaths in the workplace, one was an employee on a construction site. These types of statistics are not something that should just be passed over. With this many deaths per year, many people are questioning if there are better safety precautions that could be put into place in order to lower these numbers. The Tri-State area is booming recently when it comes to new developments. If you live in the Cincinnati or Northern Kentucky metro area, you’ve likely noticed some big construction projects occurring in your community.